All parents know what it’s like to bring a new baby home from the hospital. The wonderful way their head smells, the way they fall asleep on your chest… and the lack of sleep for parents. Lack of sleep is no joke. Recently, there has been an influx of sleep consultants, who are trained to teach you how to help your baby fall asleep. While I’m not trying to be a hater towards sleep consultants, wouldn’t it be great to NOT have to spend hundreds of dollars to get your baby to sleep? 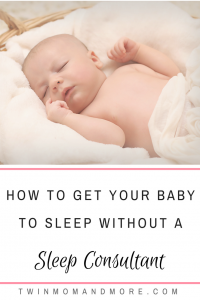 Read on for my best tips on how I got my 3 babies sleeping a solid 12 hours at night. Read, read, read. All of the information that a sleep coach is going to give you to read, you can find in a book or a blog post. Feel overwhelmed and don’t know where to start? Don’t worry, I gotcha covered! This here was my bible. You can be strict about it or you can follow it loosely and still get the same results. It talks about putting baby on a consistent routine to regulate their metabolism and help them figure out day vs night. Here is my in-depth post on how I got my twins to sleep through the night using the Babywise method. The basics? Follow an Eat-Play-Sleep routine and stay consistent with your feeding times. Babywise not your thing? There are plenty of other methods out there. Not OK with letting your kids cry it out (CIO)? That’s fine, you don’t have to. You can teach your baby how to sleep through the night without using the CIO method. Many people automatically hear the word ‘sleep train’ and assume it’s all about crying. It doesn’t have to be. Check out this post for more info: Sleep Training Resources for options different options of sleep training. If you rock or nurse your baby to sleep, they will rely on you to fall back asleep when they wake up in the middle of the night. To avoid this, put them down drowsy, yet still awake, and they will learn to fall asleep on their own. You can still nurse them, rock them, and give lots of cuddles and love… just put them in their crib to fall asleep. Making sure you have a sleep environment that is condusive to good sleep is also a must! Use a swaddle , and a white noise machine and make sure the room is dark and not too hot or cold. This is SO important. Change doesn’t happen overnight. Babies don’t sleep immediately (but they do eventually, I promise). Stay consistent with your method to reach results the fasted. Consistency is important, but so is troubleshooting. If your baby is just as consistent at fighting sleep as you are in teaching them to sleep, you might need to adjust things. There are plenty of Facebook groups you can join where you can ask other moms for troubleshooting tips. Every group I am in, people are so happy to help out. 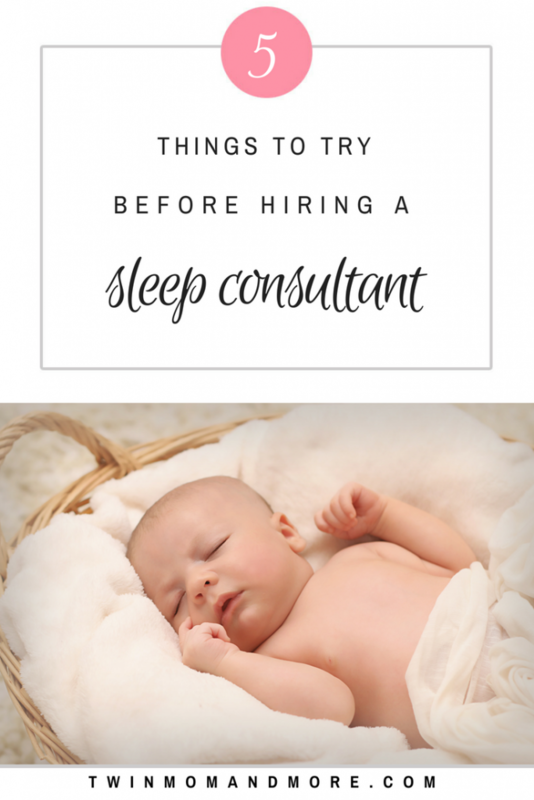 I don’t mean for this post to be hating on sleep consultants, at all! I just think that as new parents we don’t always have hundreds of extra dollars to be doling out to get our kids to sleep. If I can help you save that money, that would make me so happy. 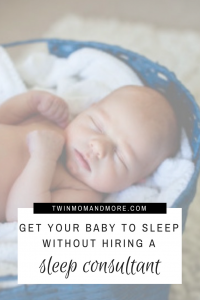 If you have tried everything and nothing is working… there are plenty of bloggers out there who read and write about sleep and have successfully sleep-trained their babies in a variety of different ways. E-mail us. Every member of the BFBN gets e-mail, and we are happy to help. There are some bloggers out there who charge for e-mail, but that’s an entirely different topic. The Ladies of the BFBN are all blogging about sleep training topics today. You can read their amazing posts below!